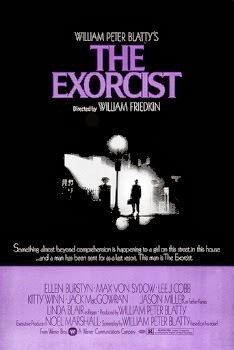 The Exorcist was released on December 26th, 1973. Filming locations include Washington DC and New York City, NY. Those stairs are creepy ! I am fairly certain that the Prospect St. house had a substantial false front built for filming. I was inside it ~20 years ago, and the interior both looks old enough to have been extant at the time of filming, and bears no resemblance to the interiors in the film (which I'm assuming were shot in-studio). I hope so, it looks disappointing now! Thanks for the post. Nicely done. Thank you so much for posting there, I'm making another pilgrimage in a few days to these areas and you just saved me a lot of work. I went decades ago to the stairs, pre-internet days, and found some locations with photocopied maps & sheer luck. This house, this town, every place, every character and everything in this film was right on the spot to create the perfect ambiance for such a movie. It looks like a house I could live next to. The mood that was set in the movie was, to me, the best of its kind and will never be surpassed. So credible in each and every scene. A masterpiece.